Braemar College seeks to embrace and nurture the whole student so that that they are happy, highly engaged, and motivated to learn. Our curriculum-based wellbeing activities are designed to develop essential skills including resilience, mutual respect, integrity, confidence, and adaptability. We have a number of programs that focus on both physical and mental health, and a dedicated team of professionals including a qualified nurse and College Counsellor onsite to support students. We provide our students with the skills and outlook to become active contributors to the community, developing an understanding of their own place and role in society. Our Wellbeing Program draws heavily on the environment surrounding the College. Students are involved in a range of activities that build a sense of belonging within Braemar and our wider communities. This program is supported by a strong House culture linking students from Year 5 to Year 12 and is also complemented by a number of outside activities including Live4Live, Beyond Blue, and I Keep Safe programs. At Braemar our focus is on more than academic development. At each year level, students take part in Exeat Week activities designed to forge new friendships and develop their team building skills and confidence. Read more about Exeat Week and other areas of educational enrichment here. If you have any concerns about your child, staff contact details can be found here. Braemar College has a wide range of policies and information for parents and students to assist with home study, internet usage, VCE assessment and reporting, exchange student hosting, and behavioural management. We also have a positive relationships policy that can be downloaded as a user friendly brochure. Braemar College is firmly committed to child safety and providing a supportive, caring, and safe learning environment for all students. Our strategies promote and embed an organisational culture of child safety and wellbeing underpinned by specific policies, procedures and practices. Our organisational culture of child safety and wellbeing is a shared responsibility with commitment from our Board of Governors, Leadership Team, staff, contractors, and volunteers. We strive for active participation by all members of our College community. You can view our Child Safety Code of Conduct here. Braemar College is committed to the physical and emotional wellbeing of your child and has a First Aid Centre staffed by a qualified nurse during College hours. We also have a full-time College Counsellor available to help students, and Chaplaincy services are available. More assistance for students can be found at the following resources. 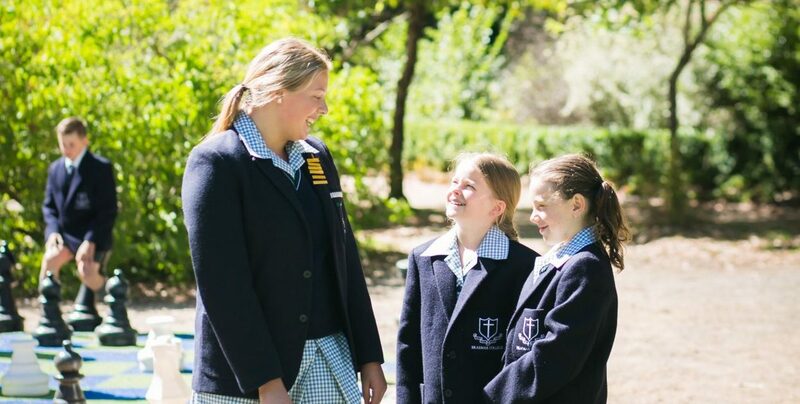 Braemar College provides a safe and caring environment for your child to learn. We support individual student differences and nurture interaction between students of all year levels. We foster an environment of tolerance, mutual respect, compassion, and integrity. We encourage students to develop a sense of community and to feel part of that community. Through our educational activities and community-oriented approach, we support our students to adapt well to change, and to contribute meaningfully to the world they live in. what Braemar College has to offer. Braemar College acknowledges the Woi Wurrung people as the traditional owners of the land on which the College stands. We pay our respects to their elders past, present, and future.